Nine-Day Slaw Recipe - great make ahead side dish for a cookout - can keep in the refrigerator for up to 9 days! Slaw tossed in a simple dressing of sugar, vinegar, oil, salt and mustard seeds. One of the best slaw recipes we've made! This Nine-Day Slaw recipe is an oldie, but a goodie! I got this recipe from my Mom; She got the recipe from our neighbor in Nashville. It is a great make ahead side dish for any upcoming Memorial Day cookouts. This is called Nine-Day Slaw because it keeps for up to 9 days. WOW! It can keep that long because there isn't any mayonnaise in the slaw. It is one of the best slaw recipes we've made. 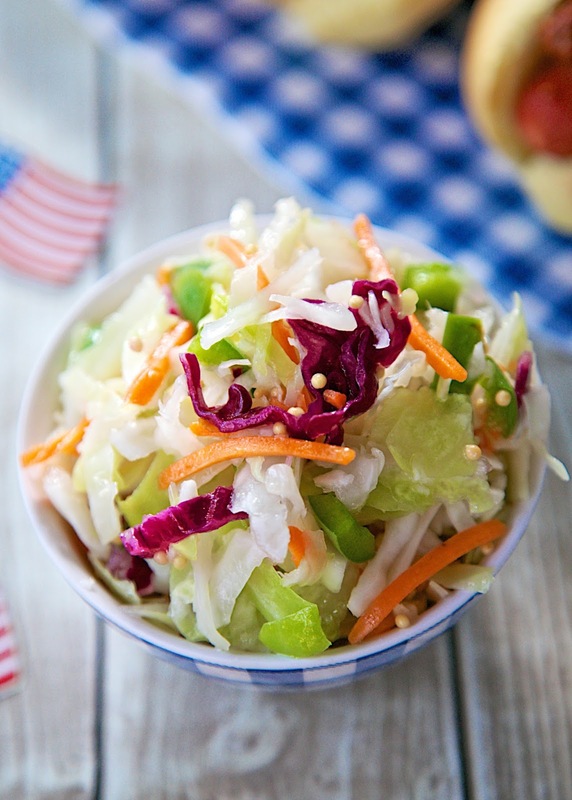 This slaw is tossed in a simple dressing of sugar, vinegar, oil, salt and mustard seeds. The dressing is heated to dissolve the sugar and poured over the slaw mixture. I used a bag of pre-cut slaw, but you can certainly chop up your own cabbage and carrots. Pour slaw mixture into bowl. Set aside. In a saucepan, combine sugar, vinegar, oil, mustard seeds and salt. Bring to a boil and pour over slaw. Refrigerate up to 9 days. Do you actually pour the dressing on the slaw while it's hot? I poured the dressing over the slaw mix hot. I didn't let the dressing come to a roaring boil. I just heated it until all the sugar melted. You can let the dressing sit for a minute or two before pouring over the slaw mix. I was hoping you'd receive an answer. 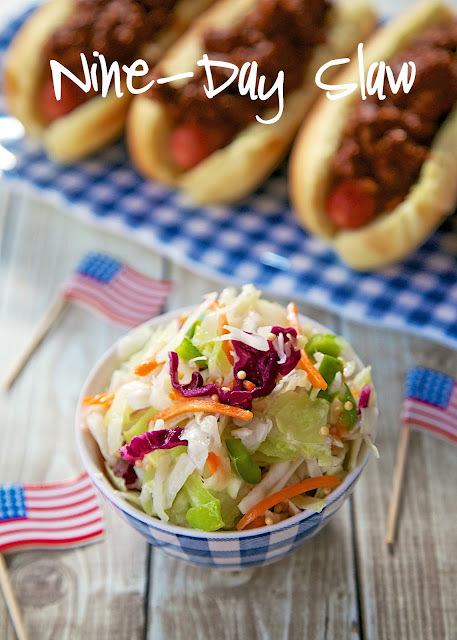 I wanted to make this for the 4th, but I don't want to ruin it if the dressing should be cooled first. I poured the dressing over the slaw mix hot. I didn't let the dressing come to a roaring boil. I just heated it until all the sugar melted. You can certainly let the dressing sit for a minute or two before pouring over the slaw mix.